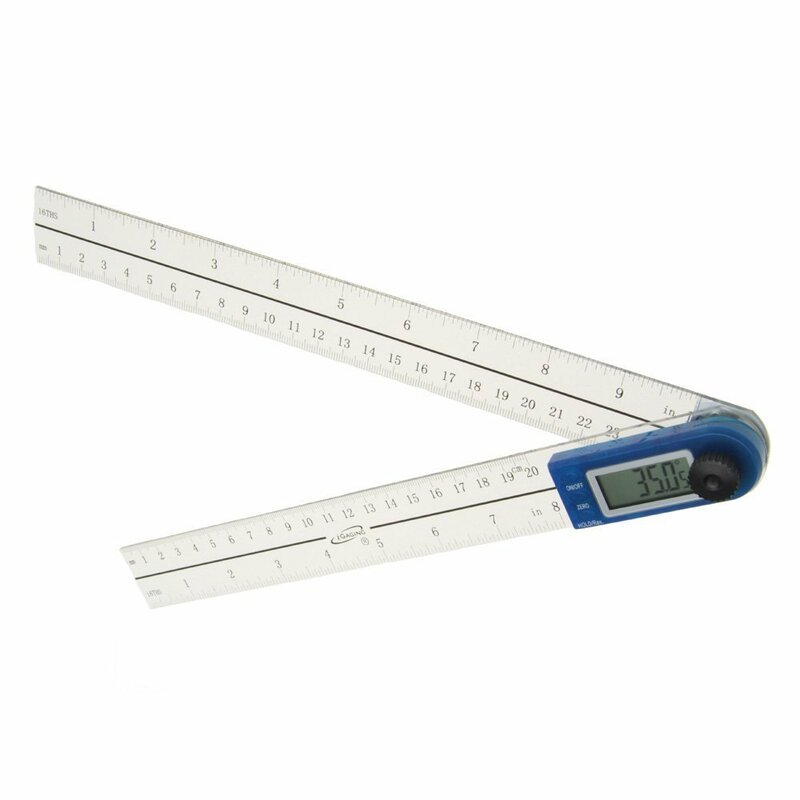 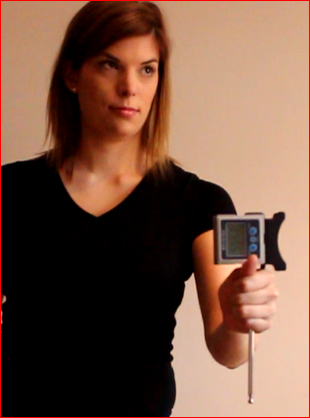 An inclinometer measures spinal range of motion. 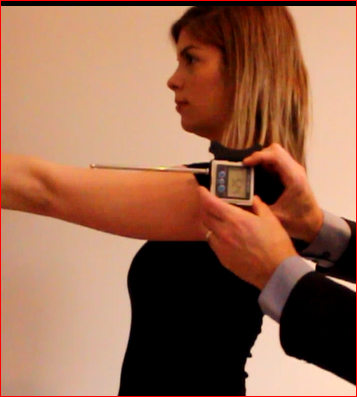 Dual inclinometers testing is recommended to segment out areas of the spine. 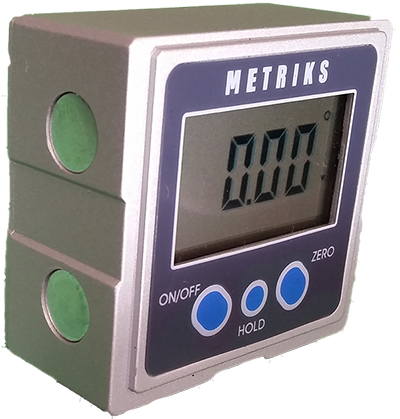 Features include a zero button, an absolute zero button, and a hold button.